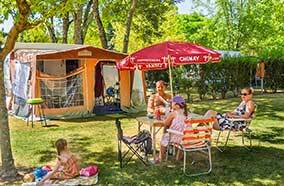 Our family campsite in Dordogne welcomes you with your tent, caravan or camper. 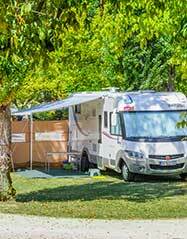 At La Cigaline in the Périgord, you’ll find spacious, flat, well-separated, tree-lined pitches with varying degrees of sun exposition. 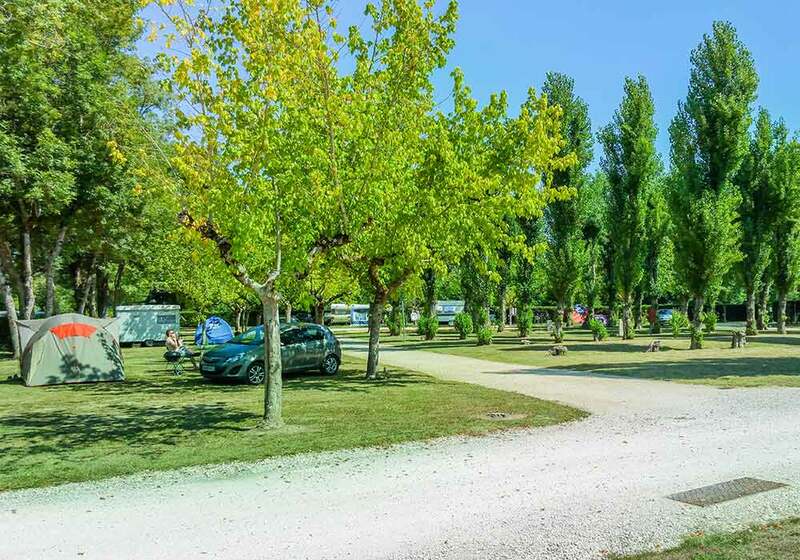 Our campsite principally consists of pitches for tents, caravans and campers. There are 86 of these out of a total of 110. When booking, whether online or by telephone, feel free to request your preference. If you’d prefer full-sun exposition, to be near the pool, to be far from the playground, or to be near the river access area… ANYTHING is possible. Just ask, and we’ll do everything we can to satisfy your request. 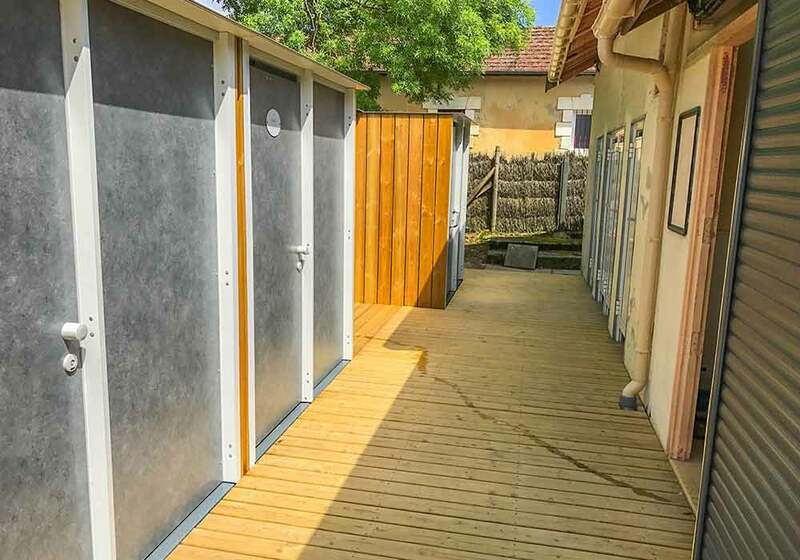 Two sanitary facilities are available to you here at our campsite. We make available to you: (free) hot showers, sinks, WCs, dish-washing sinks and clothes-washing sinks. One of the sanitary facilities features cubicles that each include a shower, sink and WC. A cubicle is also available to people with reduced mobility. 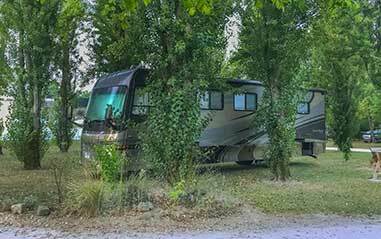 – 10-ampere electrical outlets on all pitches. – Don’t forget your electrical extension cord (25m, not necessarily of European format). 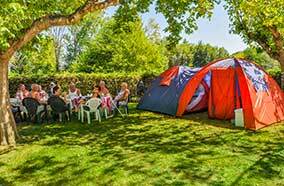 – Remember to indicate the dimensions and type of your equipment (tent, caravan, etc. ), since this information is essential in assigning you a pitch.